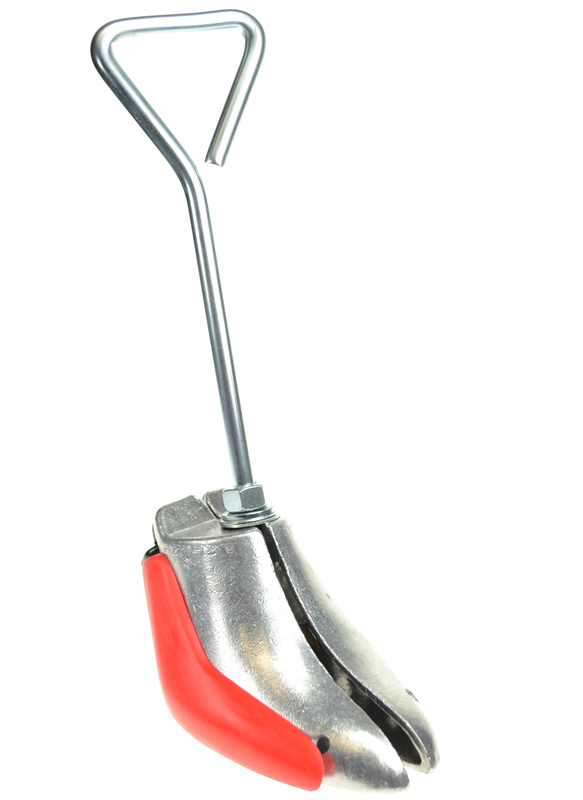 A heavy duty all metal and brass stretcher designed to go in boots and ankle boots with a heel of up to 6cm - to expand the width of the forepart of the foot around the toe, ball of foot and front of arch. 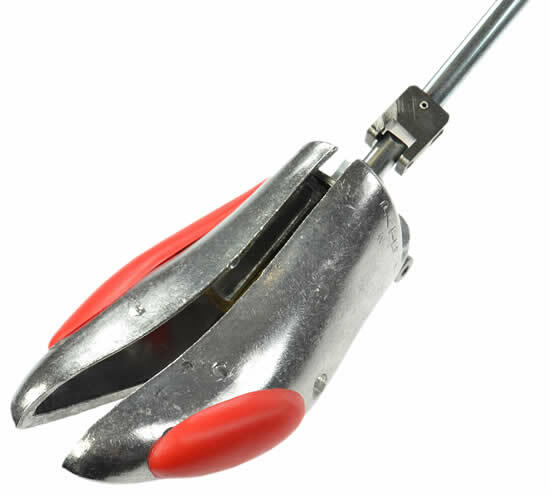 Has a long crank with a universal joint which allows the crank to be turned whilst in the boot (turning the crank expands the width of the stretcher!). 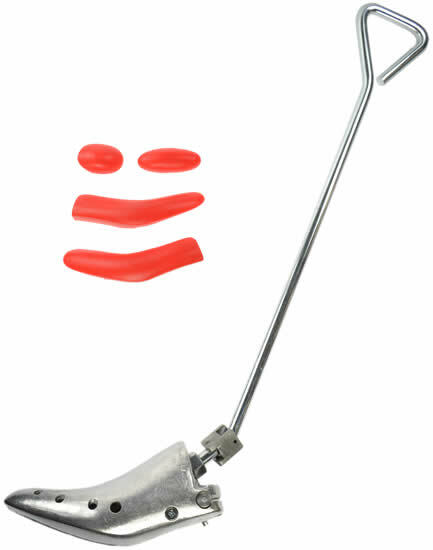 The stretcher comes with different attachments to make it suitable for left or right feet as well as nodules that can be inserted in holes to stretch at specific pressure points. Suitable for low to medium height heels - will work with cowboy boots, fashion boots, Chelsea boot etc. Each. 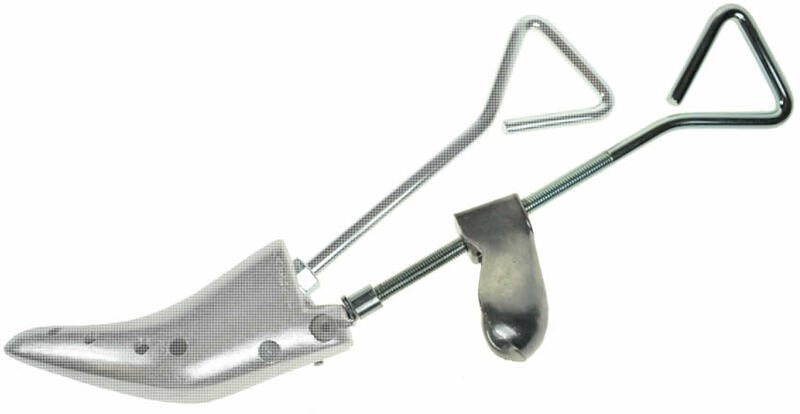 Shoe stretcher designed for shoes or boots with a heel. It can be used on either the left or right foot. 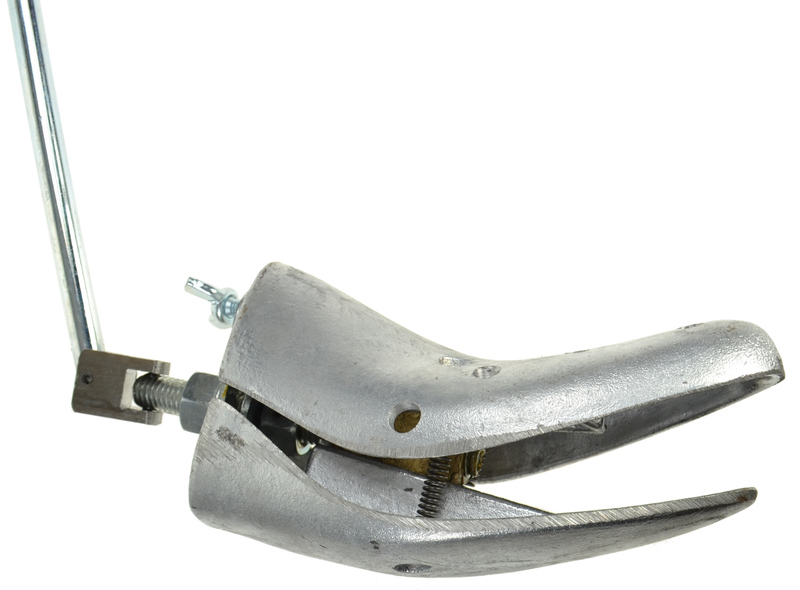 The main body is heavy duty all metal and brass designed to go in ladies shoes or boots to expand around the toe, ball of foot and arch. 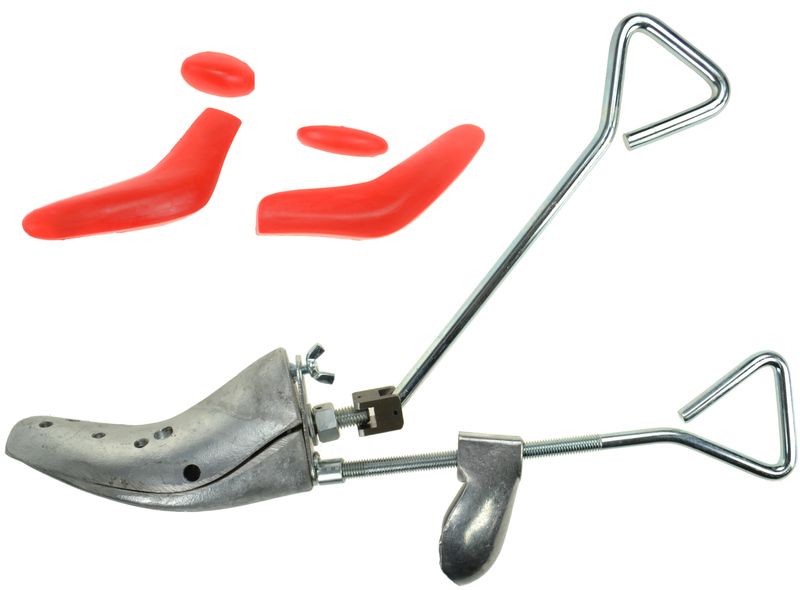 The shoe stretcher comes with different plastic attachments (red bits in the pictures) to make it suitable for left or right feet as well as plastic nodules that can be inserted in holes to stretch at specific pressure points. 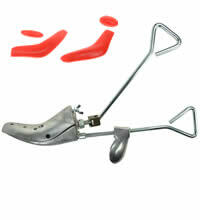 Suitable for shoes and boots with a medium to high heel. Each. 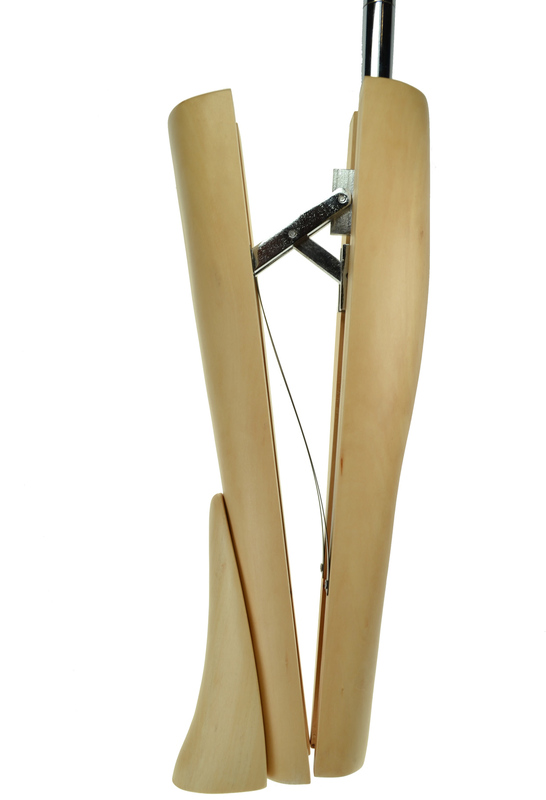 Boot stretcher designed for boots or shoes with a heel. 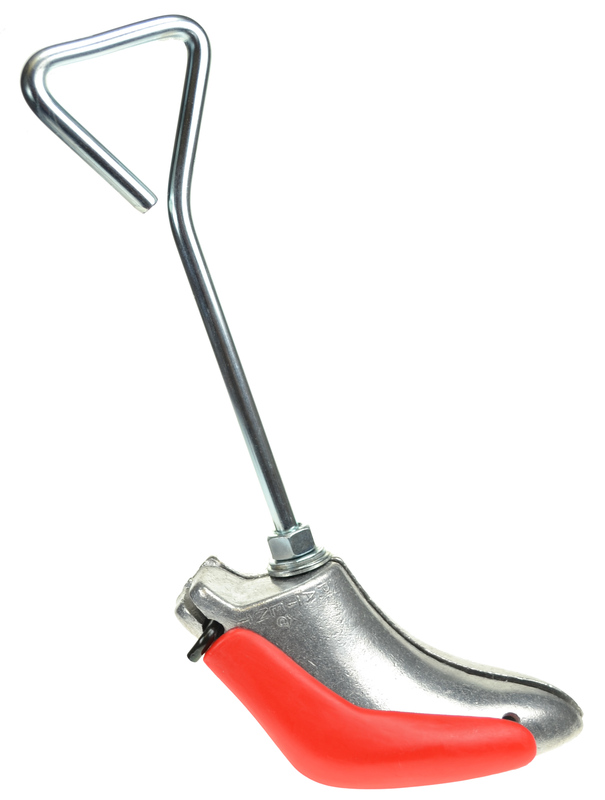 It can be used on either the left or right foot. 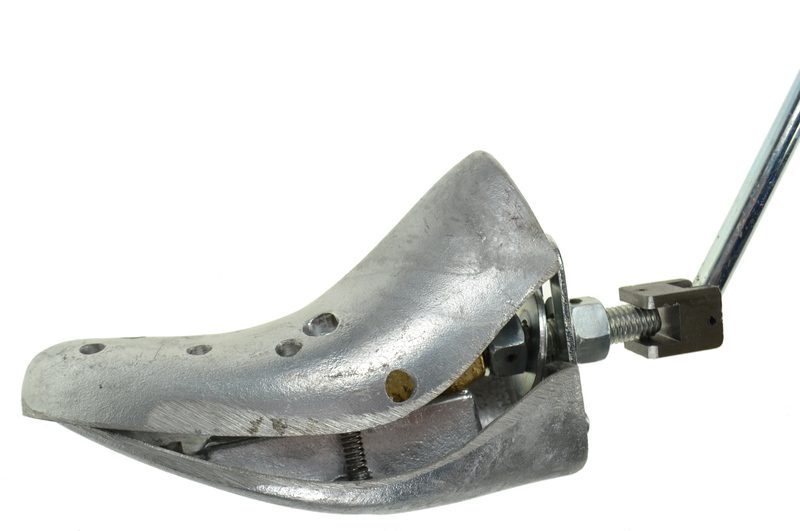 It comes with a long crank for stretching the forefront part of boots with a heel. 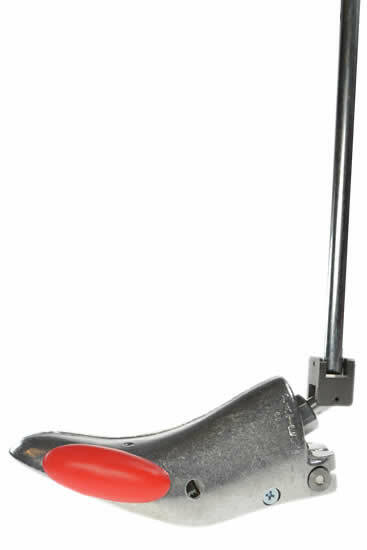 The main body is heavy duty all metal and brass boot stretcher designed to go into boots to expand around the toe, ball of foot and arch. 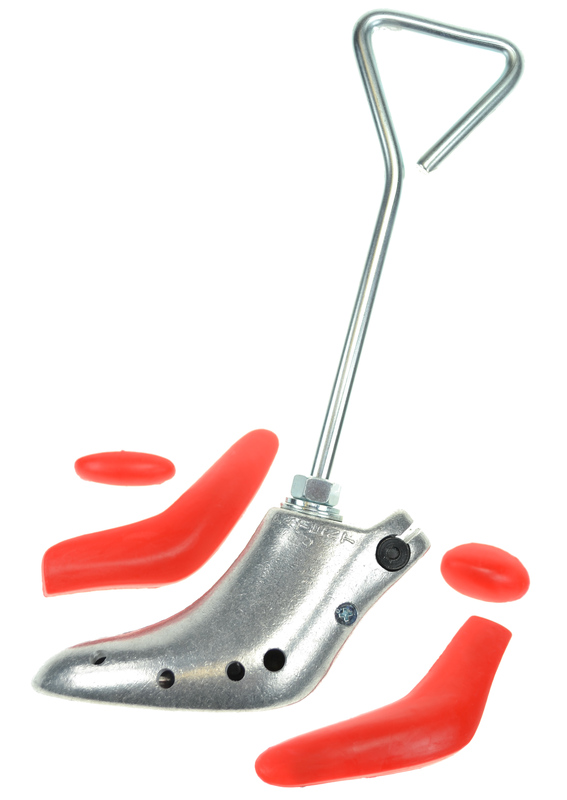 The boot stretcher comes with different plastic attachments (red bits in the pictures) to make it suitable for left or right feet as well as plastic nodules that can be inserted in holes to stretch at specific pressure points. 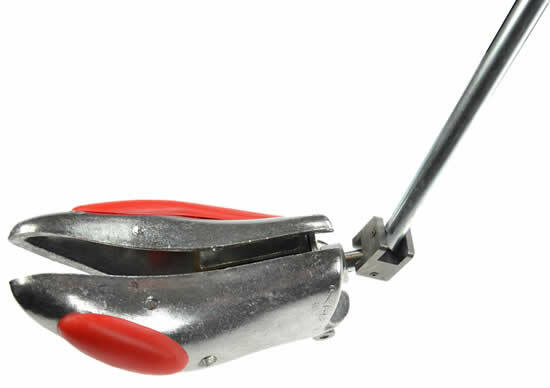 The crank (not including the foot part) is 47cm long. It can be used for medium to high heels. Each. 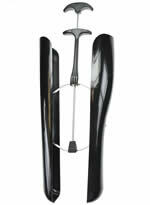 Lower leg (calf area) and upper instep stretcher for Ladies' fashion boots - single universal leg size. 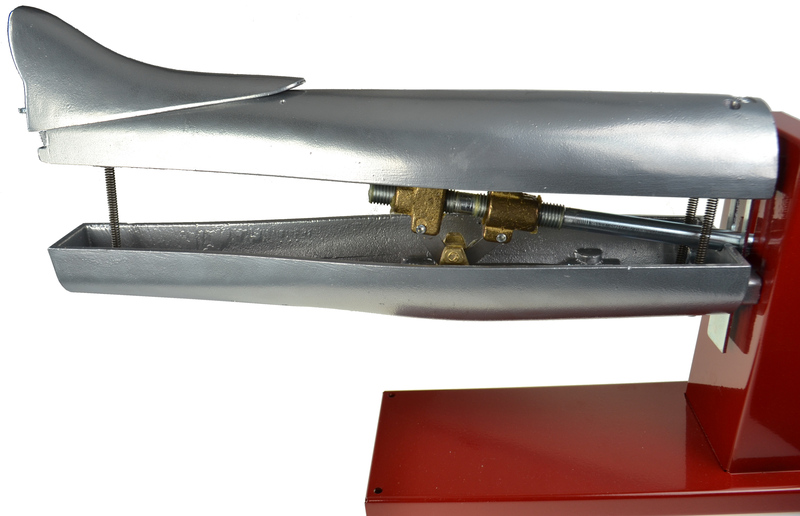 Made from hard wood with a metal T shaped rod which can be slid up and down so you can have the stretcher expand at the top, bottom or have the whole stretcher expand. Weighs about 2.5kg and is very robust! The length of the wooden stretcher is 16.25" (41cm). The circumference when closed are: Top 11" (28cm); Calf 11.5" (29cm); bottom (with instep stretcher removed - the bit that looks like a nose!) 9.5" (24cm); bottom (with instep stretcher attached) 13.5" (34cm): The maximum circumference at the calf is 16" (40.5cm). Each. 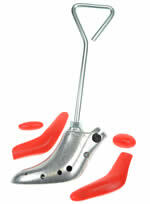 The all metal heavy duty orthopaedic stretcher can be used in boots and shoes. It can be used to stretch either the toe box area or the instep (vamp) area as well as the length of a shoe. 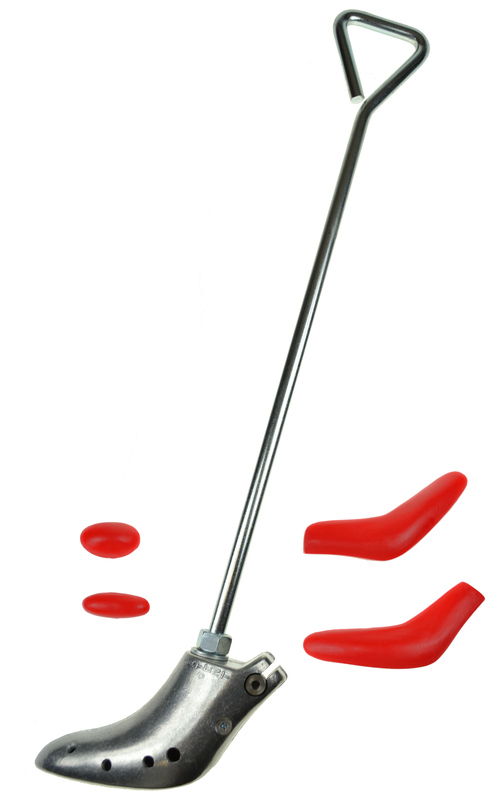 The stretcher comes with different plastic attachments (red bits in the pictures) to make it suitable for left or right feet as well as plastic nodules that can be inserted into holes to stretch at specific pressure points. It also comes with the length stretch adaptor. Available in the following sizes: small size 34-37, medium size 38-40, large 41-45. Each. 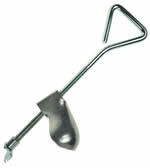 All metal boot stretcher for stretching the calf and upper instep area of the boot. 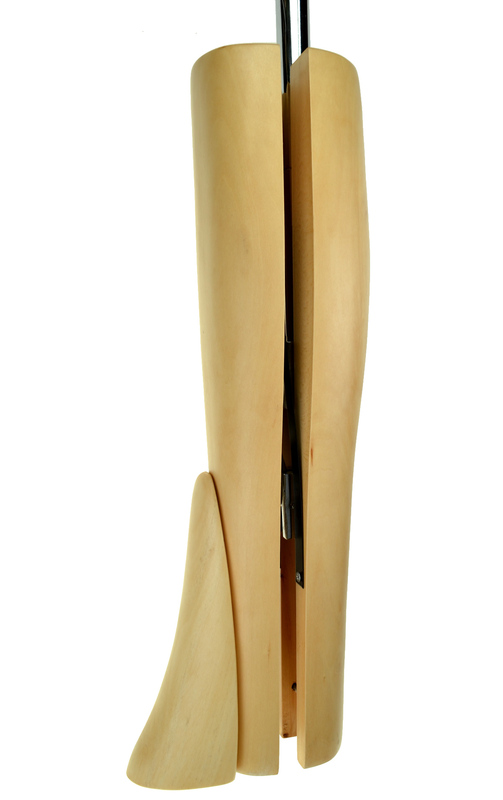 Thanks to the sliding jack it is possible to stretch either the whole leg of the boot or just the calf or the instep / bottom area only. 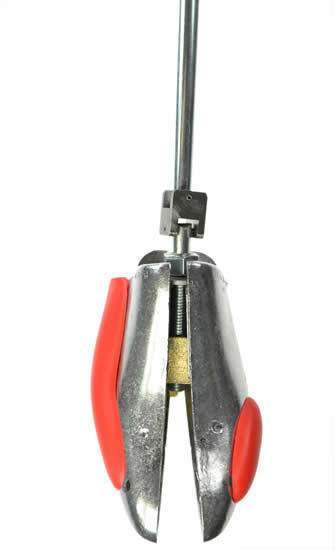 The arch support can be either attached or detached with a simple to use screw. Stretching can be done with minimum effort and with very effective results. The stretcher can be used on either the left or right boot. Each. Measurements without the instep stretcher attached. 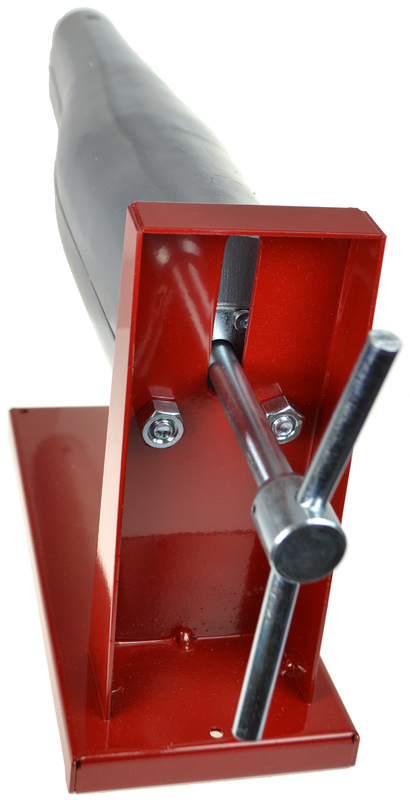 Are you looking for boot shapers. 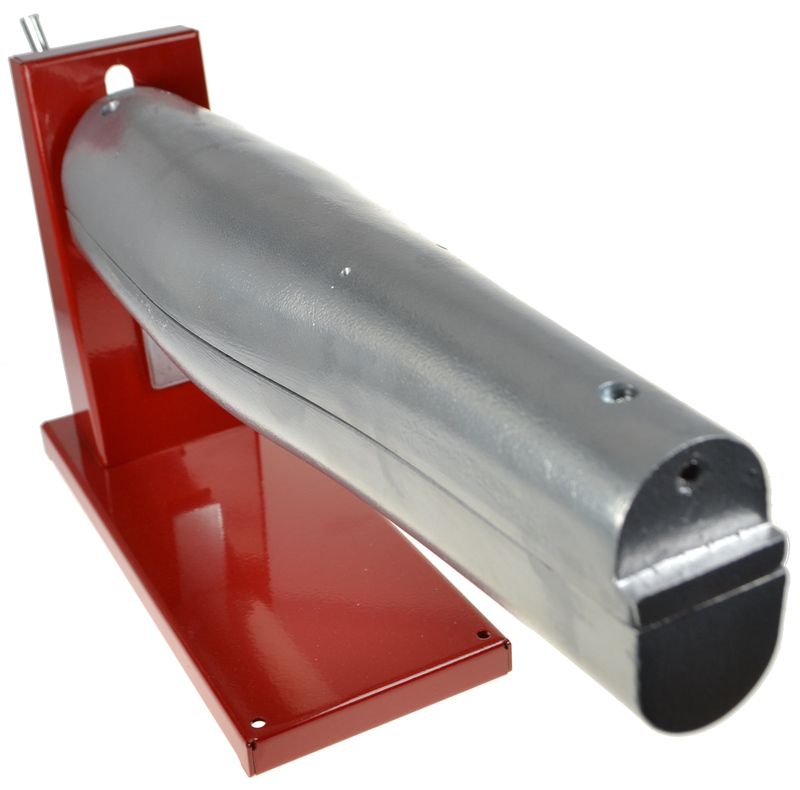 If so click here to see out range of boot shapers. 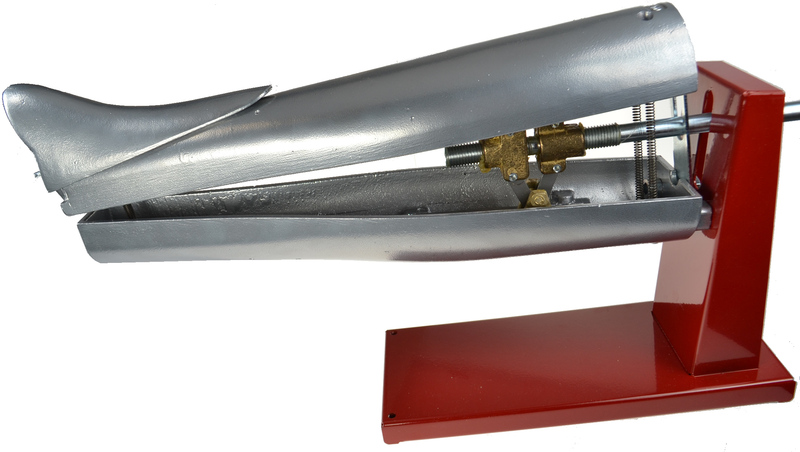 The metal length stretcher will work with any of our metal shoe stretchers and can be used for either the left or right foot. Though it is unlikely to work inside a boot unless the calf area of the boot can be folded down or has a zip in it which would allow the stretcher to be fitted in! Each.